In Destiny: The Taken King, with Shader Items you can individualize and customize your armor. However, to unlock new Shaders you have to deal with with particular missions, in the crucible unsubscribe PvP battles and hope for good rewards from Cryptarch. A few shaders you can acquire at Eva Levante. 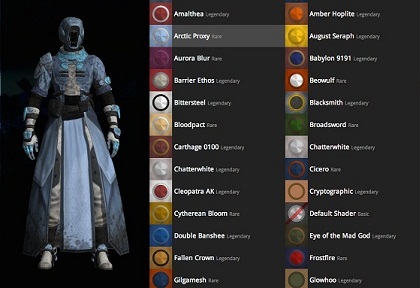 The following table shows you a list of new Shader and how you can unlock them. Chalcedony - Crucible Playlist (Legendary) - Complete a PvP match to get a shot.